If Arun Kumar Aravind’s “Kaattu” manages to leave the audiences with a feeling of edginess, then the credit needs to be evenly distributed amongst the makers. The scenarist at work here is the late legend P. Padmarajan’s son, Ananthapadmanabhan, who conjures up a slice-of- life tale centered on a few oddball-characters at a fire- cracker manufacturing unit set during the late 70s, in a dusty terrain that falls on the Kerala-TN border: Chellappan (Murali Gopy), a womanizer with a dark past (who’s also deeply compassionate, and has a thing for wagers), Noohu Kannu (Asif Ali) a slightly immature adult who has a crush on his pretty neighbor Ummukulsu (Manasa Radhakrishnan), Pauly (Unni P Dev) who takes pleasure in meeting his girlfriend late into the night with Noohu Kannu on watch, and Mooppan (Pankan Thamarassery) the supposed head of the unit with a bygone of his own. 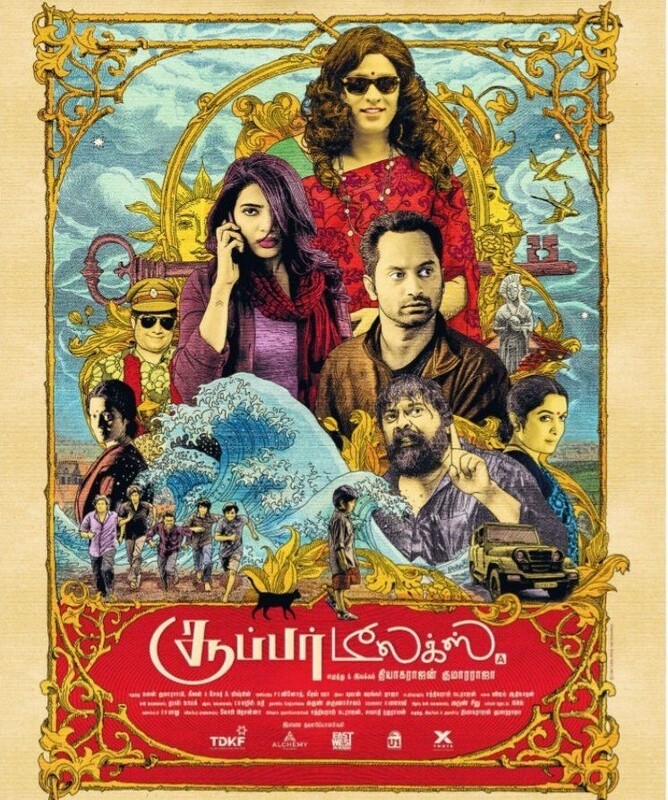 The movie begins strongly with an honor-killing scene at a village in Tamil Nadu followed by a lost-in-thought Muthulakshmi (Varalaxmi Sarathkumar) gracefully sharing the screen with the opening credits, penned in opaque red. Before we get to understand Muthulakshmi as an individual, the setting leaps to Kerala where Chellappan saves Noohu Kannu from his abusive employer at the local toddy shop and takes him under his wing as an apprentice, in a superbly written scene. The characters are established neatly at an unhurried pace; the camaraderie between the men is splendidly constructed – they pull pranks on each other, get drunk and dance together (for a song that goes ‘Pottada Pottada’) and ogle at the local women. The male gaze is apparent, and Chellappan’s misogynistic attitude in particular, stands out. He has lately developed a use-and-throw approach towards women, owing to failed romance in the past. The writing is solid for most part, except during the latter portions of the second half where some holes are deliberately left open. Music and background score by Deepak Dev adds to the unsophisticated nature of the proceedings – ‘Ekayai Nee’ though, sounds a little bit like his own ‘Picha Vecha Naal’ from “Puthiya Mugham”; the background score at times, purposefully carries the vibe (and riffs) of a ‘western’, ably complementing the cinematography by Prashanth Raveendran (it’s a grimy world with grimy people – a point made clear through the excessive smudging of brown/orange; the only time a tonal change is felt is when Noohu Kannu visits his home located at a beach where the world looks a lot more winsome). There are scenes that light up our brains like firecrackers: an exceptional one comes right out of the blue, when a seemingly distressed Mooppan walks into the cracker unit and lights up a beedi – the outcome obvious; another one where Chellappan funnily questions Noohu Kannu’s love-life with a two-fold intensity. Noohu Kannu is surprisingly safe in the hands of a remarkably restrained Asif Ali (who now looks to experiment with roles instead of sticking to his chocolate-boy image). Chellappan, the seducer painted in shades of grey, is effectively portrayed by the ever-dependable Murali Gopy. I’d have liked more screen-time for the women characters (and better closure to some of them, at least) though they manage to pull off memorable performances on the whole. How the film ends may not exactly be soothing to most audiences but I felt that it concluded the way it was supposed to. But if you ask me if I’d rave about it like I’d watched a Padmarajan (or Bharathan) flick, my answer would certainly be ‘nope’. ‘Kaattu’ is a movie that could have looked tremendously better had it been shorter, with unabridged character arcs. The Tamil Nadu segment doesn’t look all that convincing to be frank. A little bit of tweaking here and there and we could’ve had a classic right out of the 80s in our hands. Two things I absolutely, unequivocally loved – the raw, unbridled flow of emotions & the coarse setting. Verdict: You may or may not savor this piece of cinema, based on your tastes!